A love for Turkish and related music can be detected in the compositions but the result is absolutely adventurous jazz; sparkling and full of surprising twists. 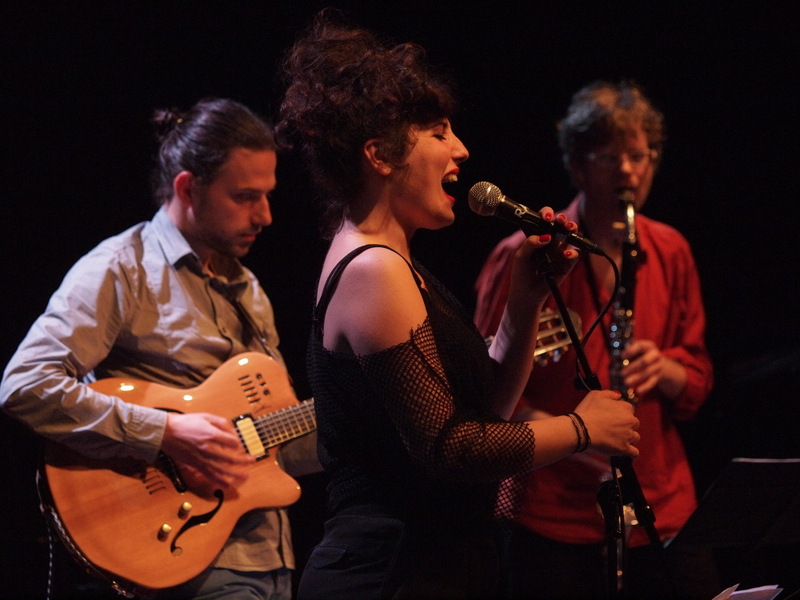 The improvisations of clarinettist Steven Kamperman dance to the vocal antics of Sanem Kalfa and the rocking guitar grooves of George Dumitriu. The whole is poetic and high-spirited, with a firm bite. The Dutch press reviewed the release of their CD and their live performances downright enthusiastic : “A magical album” (Moor Magazine), “Music that excites you, lets you dream and touches your heart” (Kaleidoscope) and “A feast for the ears “(Mixed World Magazine). Clarinet player and composer Steven Kamperman was at the heart of the pioneer world jazz formation Baraná, playing around the world, from Mexico to Siberia. Singer Sanem Kalfa won the the prestigous international Montreux Jazz Vocal Competition in 2010. Guitarist George Dumitriu won sixteen prizes as a young classical violinist before developing into a versatile and adventurous jazz guitarist. 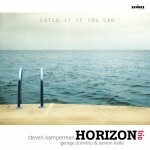 With their original music and the poetic lyrics of the young Turkish writer Orhan Günes, the musicians of the Steven Kamperman Trio take you beyond the horizon to a fascinating world of their own.